Taste of Havana is the perfect choice for small gatherings. At the office, we can cater your business meetings, training and brain storming sessions. At home we can help with birthdays, family get together or that special occasion. Our sandwiches are made with top quality, fresh roasted meats in our Cuban bread or "Media Noche" roll. Pinto beans simmered in beer, fresh dice tomatoes, onions, garlic, pickled jalapeno for a kick finished off with a touch of smoke. Saffron rice with just the right touch of spices, onions, and bell peppers Served in a 1/2 pan. Slow cooked with just the right amount of herbs and spices. Baked white rice. Served in a 1/2 pan. Perfectly ripe and sweet plantains. Also know as Cassava. Boiled until tender then soaked with a garlic Mojito and boiling extra virgin olive oil. Black beans and rice, cooked together with a little smoked pork for a great flavor. A 2 foot sandwich of pork, ham, Swiss cheeses, Provolone cheese, lettuce, tomato, mayo ,mustard and pickles. Weighing close to 3 pounds. A lunch box containing a 1/2 sandwich of your choice, bag of chips and our special tropical fruit slad. with 10 regular size sandwiches of your choice cut in halves. A lunch box containing a full regular size sandwich of your choice, a small hot side dish and our special tropical fruit salad. These are a sin, but you still go to heaven. Choice of: Guava, Guava & Cream Cheese, Coconut, Strawberries and Cream, Crusted Sugar Cream Cheese. 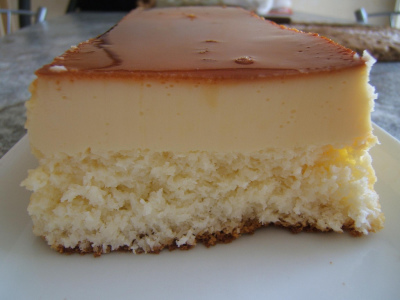 Caramel custard baked with our home made coconut candy. Sweet and Savory. These, you could get hooked on. A minimum of 48 hours is required for all sandwich orders. We need to specially order our bread. All non-sandwich orders require a 4 day notice. Due to our very small facility, we can not accept orders for more than 50 people and/or a maximum of 25 sandwiches. Plastic ware, napkins, and serving utensils can be provided upon request. Additional fees may apply. At this moment we do not have the staff or equiptment for deliveries.